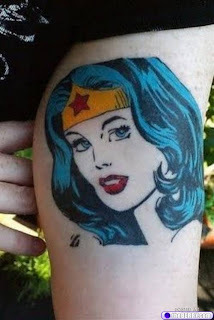 Very good tattoo of Wonder Woman, not sure what it will look like when sun hits it but this persons pail skin probably has never seen more that a couple of minutes of sun a day. 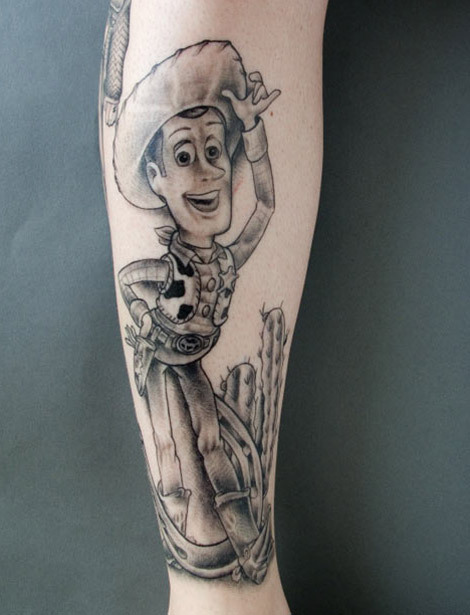 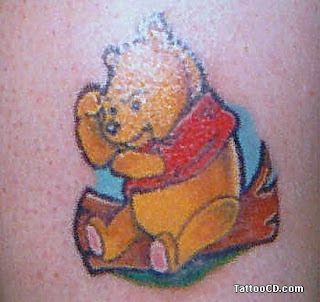 Awesome Woody tattoo, props go to the artist..
Is this a angry pooh bear tattoo? 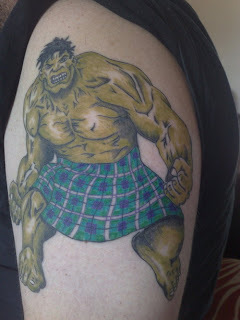 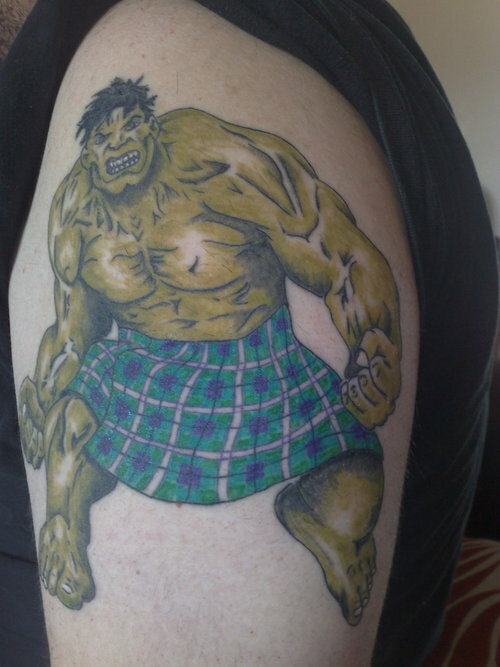 Same artist as the Woody tattoo above, what a fantastic job.. Super quality work..
Hulk in a Kilt.. Not sure I understand where I have seen a scottish Hulk issue but.. to each their own. 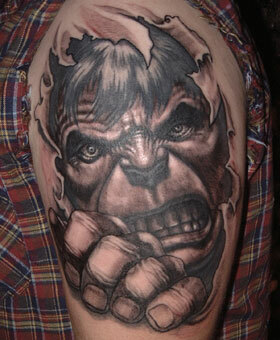 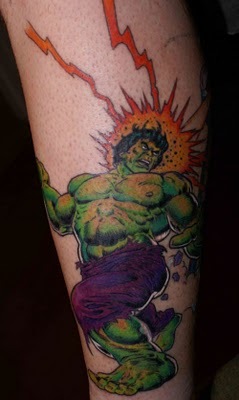 Great Hulk battle scene tattoo.. 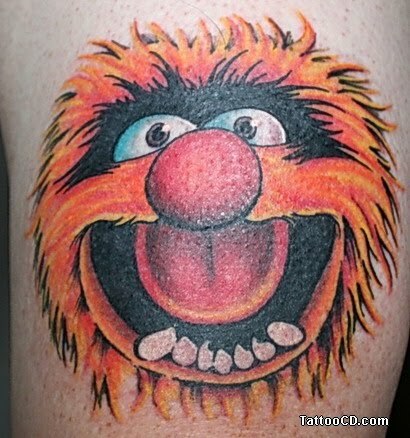 Animal Tattoo from the Muppets. 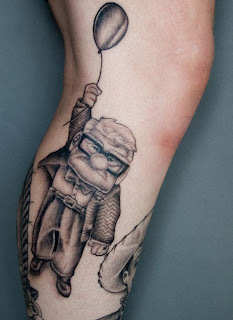 Oh I am in love with these cartoon character tattoos.It took me the way back to my childhood when I used to be happy on these type of tattoos.